The Leonidas II is the successor of the highly acclaimed and loved Leonidas cable. 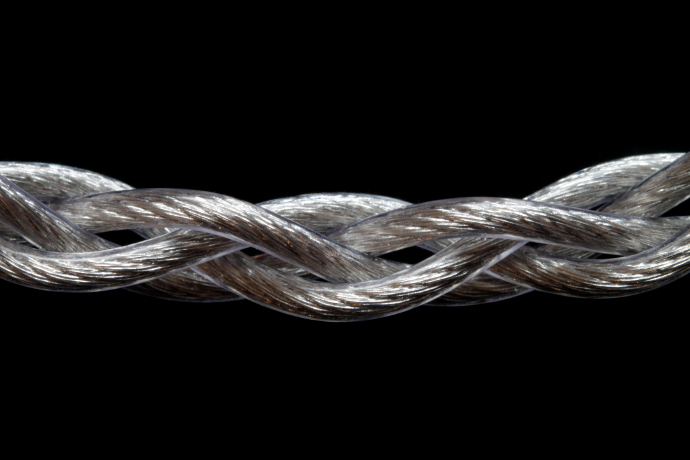 Effect Audio has for the first time ever incorporated Palladium plated silver in a cable with it. Disclaimer: The Leonidas II was provided by Effect Audio at no cost for this review. Effect Audio is a site advertiser, but not affiliated with Headfonia. Many thanks for the generosity and opportunity to review the Leonidas II. Effect Audio is a boutique aftermarket cable company seated in Singapore. They have been around for nine years already, and can be seen as the leading manufacturers for audiophile aftermarket cables. Suyang Zou, the owner and founder of Effect Audio, is a trained electronics and electrical engineer. With his knowledge about the matter he was able to understand how he could make his cables sound great and different. At an early stage of Effect Audio, Crystal Cables recognized Suyang‘s great work and that later led to Effect Audio offering the now well-known CC Piccolino cable. Recently Effect Audio has shown us also, that they do look further than just working with the standard materials everyone else uses, by coming up with the world‘s first Palladium plated cable – the Janus D and Janus B. 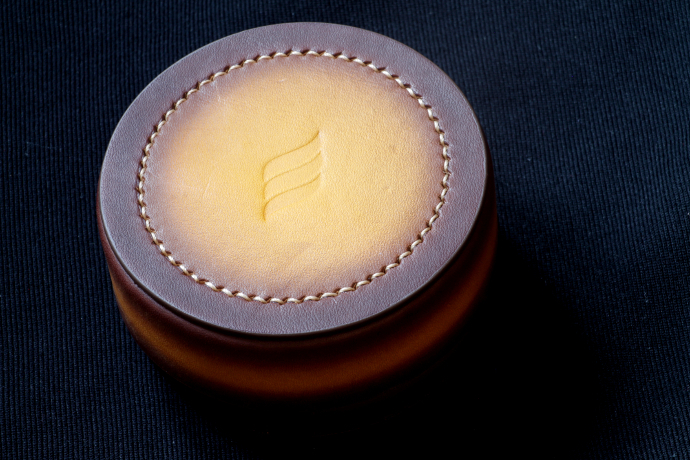 The Basso version will be reviewed on Headfonia soon. The first real big hit was their Leonidas, which put Effect Audio on the global map. This cable still is one of the most popular aftermarket cables around. 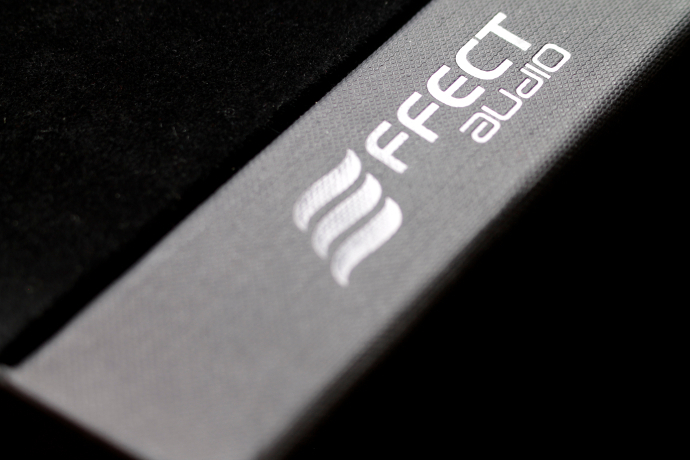 Just a few weeks ago, Effect Audio announced its discontinuation. Today we’re taking a closer look at the Leonidas II. Effect Audio is a company that goes into collaborations with many other industry leaders. 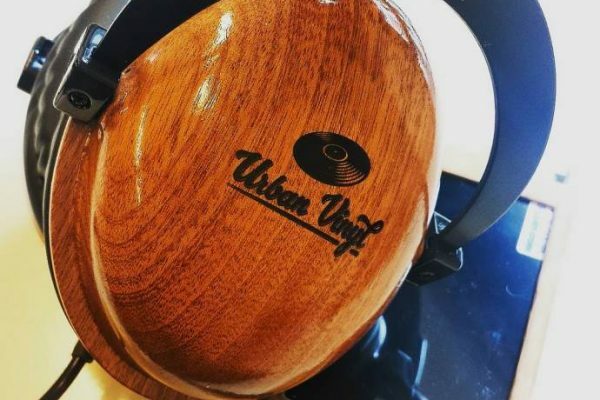 They have worked together with brands like Empire Ears, Vision Ears, Jomo, Oyaide and many more to bring something fresh and groundbreaking to the market. EA is very well regarded amongst the community for their impeccable price to performance ratio and outstanding customer support. 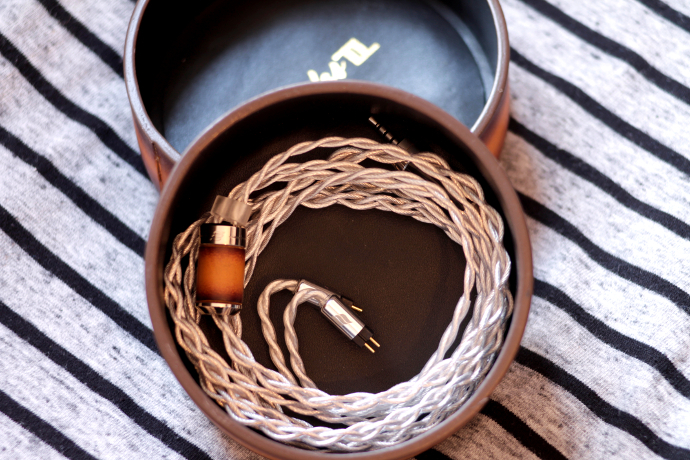 We even see more and more brands using their cables as stock for their great sound qualities. In their repertoire of products, you can find different lines of cables. There is the Premium (standard and plus), the Heritage and the Hall of Fame lines. Leonidas II is the flagship cable of the Heritage line. The Leonidas II cable is the direct offspring of the infamous Leonidas. The original was a silver and gold plated silver hybrid. Effect Audio has made some slight changes to the cable itself, which made some drastic changes to the sound it sports. Leonidas II uses a slenderly different geometry compared to the original. As mentioned earlier, it utilizes silver and Palladium plated silver wires now. Palladium has been used in some audio cables in the past, but never have we seen it used as plating material. Effect Audio has invested countless hours of research and development to make it happen. The impact of this element is rather huge, as we will find out later. The wires themselves are of 26 AWG size, just like the original’s. Each cable can of course be customized to the user’s wishes. You can select 2-pin, MMCX, FitEar, JH Audio and many more connectors, as well as different termination options (3.5mm, 4.4mm or 2.5mm). The nice thing about the headphone jacks is, that these are PSquared plugs. These are superior plugs using rare metals (Palladium and Platinum). The PSquared plugs are collaborations between Effect Audio, Oyaide and Pentaconn, to deliver the customers a unique experience. The Leonidas II comes with a new Y-split design, which according to EA is modular. 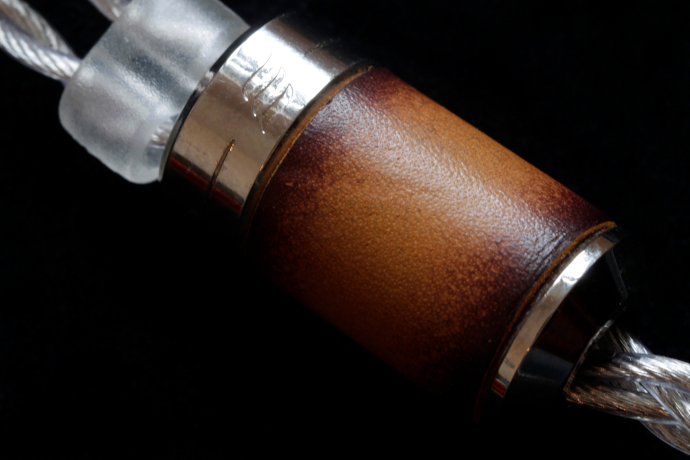 The Leonidas II’s Y-split has an aluminum top and bottom, in the middle there is a beautiful piece of leather. Of course, beauty is in the eye of the beholder, so you might take a closer look to decide if you like it or not. It fits my sense of aesthetics a lot. One set of Leonidas II costs 888$ and can be acquired directly from Effect Audio or one of their global distributors and resellers. Effect Audio is known to provide a good experience when it comes to packages. The original Leonidas had a circular leather case, which was very nice. The Leonidas II now has a similar, but better one. Compared to the one I got from first batch two years ago, it offers considerably more room for the cable and C/IEMs. They also heavily differ in looks. Where the original was plain brown, the new one has a distinctive patina, which will further develop as far as my understanding goes. You get the cable and case delivered in a black cardboard package, identical to the ones we already saw in the Bespoke Ares II and Eros II reviews. These are indeed very nice and I personally like them a lot. However, since I did get my Leonidas from a pre-run before it was even announced, it didn’t come with the full packaging paying customers will get. Eric of Effect Audio has shown me drawings and photos of the new style, and it looks very nice. A light brown sleeve with the wording Leonidas II on it. Effect Audio has always had one of the top spots in regards to build quality and ergonomics. Their EA Ultraflexi insulation really makes their cables super soft and flexible, which is very nice when you handle the cable. The entire build quality to me screams luxury. The new plugs with the etched-in EA logo and a bigger carbon tube really looks stunning. The braiding of the cable itself is very consistent and doesn’t show any irregularities. The Y-split again is a work of art in my eyes. The leather part is sewed together with just a few stitches. In my opinion that gives it a certain luxury that might or might not appeal to you. After the split, we get to a plasticy chin slider, when we move up to the pre-formed ear-hooks we will see the typical recessed EA 2-pin barrels. Each side is clearly marked by an outward facing Effect Audio logo and the letters L and R on them on the inside. Ergonomically these are very nice. They don’t have too much weight and really disappear when you wear them over your ears. The cable doesn’t pull down too much, so it will also stay comfortable. There are close to none friction noises passed on as well. The Sound section can be found on page 2! I will take a audition this Saturday in Thailand with my a12t. How was it? Did you like it? How does it compare to the Effect Audio Horus? Horus have a great impact on the bass and sprakle on the treble. Not same as the Leonidas ,everything has balanced ,do not re-production the sound. Everything just higher resolutuion and smooth tone. Sadly I don’t have Horus with me anymore. It’s been about a year since I had it. I don’t feel comfortable making comparisons from memory… Sorry. Disclaimer The Urban Vinyl Classics was sent to me free of charge in exchange for my review. The Classics doesn’t need to be returned….